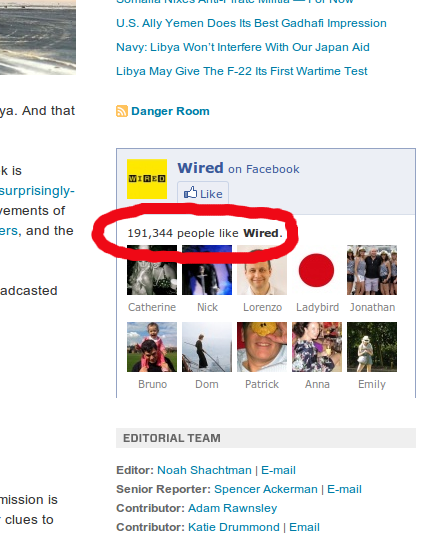 Saying that hoards of my friends like Wired’s website is just a lie. Or at least implying that they do is disingenuous as I’m pretty sure that none of them have liked it. And is that huge number just made up? Who cares? This sort of casual fakery (which Facebook thinks nothing of, regardless of how underhand) is I suppose just part of Internet life now, but it’s annoying at best, and in aggregate, morally corroding. It’s almost as bad as neglecting to date stamp things.